A reader’s perspective on Veteran’s and their awesomeness! There is just something about a woman in uniform. No seriously! It’s almost like a cloak of honor magically appears when they stand before you dressed out in their uniform. But that makes sense because most all the women I’ve met who wear a uniform or have worn a uniform do so with pride. That is what November is about, recognizing these amazing individuals and saying thank you. Veteran’s Day, November 11. Some of our LesFic authors have honored military veterans by writing them into stories- some filled with romance and some with adventure. Some service members broken and some pushing forward in their careers. 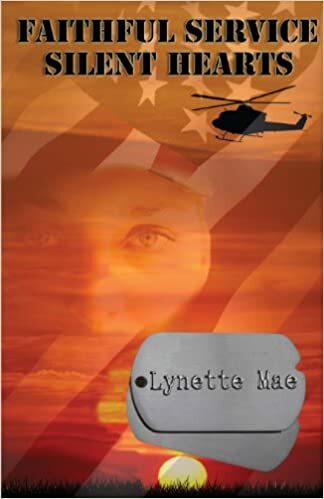 Lynette Mae’s story Faithful Service Silent Hearts captures military life before Don’t Ask, Don’t Tell. It still makes me mad to think that an individual who volunteers to stand in the front lines of the defense of our country was judged by their sexual orientation. Lynette Mae’s story not only captures the pureness in the desire to serve but also the innocence of love. And the desire to serve really is pure! I mean you will run into individuals who will use the military as a stepping stone in their careers or a means of paying for school. But when you meet an individual who joined the military because they wanted to honor their country and protect its citizens you will definitely know. Kind of like when you meet Lynette Mae’s Devon James. The challenges of military life aren’t just restricted to the regulations revolving around Don’t Ask Don’t Tell though. One of my favorite Isabella stories is Always Faithful where the reader gets to follows a soldier in the aftermath of loss. Because that is a very real reality of serving in the military. Not only are these individuals volunteering to give their own lives for country, they have to understand that they may lose others who are standing by their side. That is what Isabella’s Nic Caldwell is challenged with as the only survivor of a military helicopter crash. What makes the story so wonderful is that Isabella does a fantastic job of capturing that recovery period and bringing life and love back into her characters world. 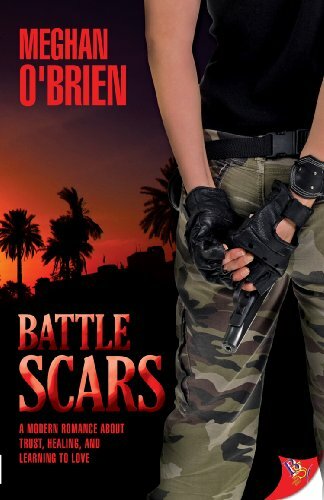 Another story I really enjoyed that had a military veteran was Meghan O’Brien’s Battle Scars. Ray McKenna is the military veteran and her experience was pretty brutal, but it’s the romantic story that Meghan O’Brien creates that I really enjoyed. That and there are some adorable canines in the story that made me want to reach through the pages and hug. If there is one charity that does a tremendous amount it would be service dogs for veterans with PTSD. I seriously doubt anyone can read this story and not fall in love with Jagger! I had the wonderful luck of marrying a Sailor. I can’t even express how proud I am of my wife’s military accomplishments. Just the fact that for over 20 years she was willing to be the county’s first line of defense, still boggles my mind. That is why November is so special, specifically November 11, Veteran’s Day. It is a day to remember all veterans and to take a moment to say thank you for your service. Believe me, after spending 9 years witnessing it, it is not an easy job. But all you reader’s out there help me celebrate this Veteran’s Day and tell me some of your favorite LesFic stories with the amazing women in uniform. I know there are lots out there and I can’t wait to hear your favorites! Previous Deep in the heart of NaNo! The War Within by Yolanda Wallace and Ask, Tell by E.J. Noyes are both excellent books featuring members of the military. And thank you to your wife for her service (and you for supporting her in it)! I haven’t read either of those so thanks Ann! Please thank your wife for her service. I recently finished Ask, Tell by E.J Noyes and was once again reminded of the debt of gratitude we owe all our service men and women. Families and friends of military members also need to be thanked as their loved ones serve our country at home and abroad. Thanks for reading Beth! And since this is the second recommendation of Ask, Tell it is definitely going on my wish list!! I have read all of these and they are great choices. Ask, Tell is one of my favourite most recently released military themed books. And the sequel will be released soon! That just makes it more appealing if there will be a sequel!! Thanks Danielle!! Faithful Service Silent Hearts is also the first one that always comes to mind for me in this category. Although it may not fit as well into this category as some of the others do I also really like Caren J Werlinger’s She Sings of Old, Unhappy Far-off Things. Always Faithful is also a very good book and now I believe Battle Scars needs to go on my tbr list. That is an awesome list cw! Thanks! I really enjoyed the historical aspects of Robbi McCoy’s For Me and My Girl and Kate Christie’s In the Company of Women.